They denied it right? They denied your insurance claim caused by Hurricane Irma, right? OK, so do you now just take the insurance company’s word for it that your claim won’t be paid or do you fight it? The scenario is that the representative comes out to your damaged property—this could be your home, car, boat, a condo, maybe even commercial property—and does an inspection. The insurance company representative then tells you that the company will get back with you soon. Yes, they get back with you. They tell you that your claim is not covered. They tell you that you did something wrong, or did not do something. Sometimes they will tell you they will cover the claim, but the amount of money they are willing to pay over is not anywhere close to the value of your property or the cost of repairing your property. In other words, they are leaving you upside down on your claim, and they are leaving you upside down in your life because you need your claim to be paid. They don’t want to pay your claim, and the insurance company has told you they are not going to pay your claim. They made that clear. Now the choice is: are you going to do something about that? Yes, you can do nothing; but if you do nothing, the insurance company will do nothing. If you do nothing, they win and your claim will not be paid. This law firm has never represented an insurance company in 25 years. Never. Not once. We represent only people, not insurance companies nor at-fault corporations. There are law firms who now want your business who previously worked for insurance companies to deny claims of people like you. You will never have to wonder whether we are fighting for you one day and then the insurance companies the next day. You will never have to wonder if before we take your claim we have to check to see if there is a conflict of interest with some insurance company. We don’t represent insurance companies period, and this law firm never has. OK, HOW DOES IT WORK? HOW DO I GET STARTED? First, we handle insurance denial cases on contingency. This means that you do not owe us anything—not any fees, not any costs—unless we make a recovery for you. This also means the more we recover for you, the more we make for this law firm. You remain in control of your case, and your case cannot be resolved unless you authorize the case to be resolved. 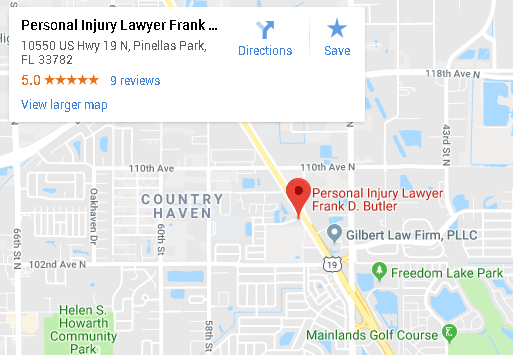 Florida law provides that when an insured customer forces his or her insurance company to cover what the insurer should have covered before you had to hire an attorney to fight for you, the insured customer can ask the court to force the insurer to pay attorney’s fees. This is not applicable to every single situation but it is applicable in most situations. Our endeavor, therefore, is to not only recover for you but to also compel your insurer to pay toward your attorney’s fees and costs. It is important to get going on your claim now. Important evidence can be lost if you delay. Additional damage can occur to damaged property if you do not act quickly, and you can incur additional expenses having to protect your property. Contact us now if you are ready to have us fight for you. We represent only you and your family. We do not represent insurance companies. We will fight for a fair result for you.